Apple CEO Tim Cook tweeted on Monday from Beijing a photograph of himself and Didi Chuxing’s President Jean Lui catching a cab, showing off the company’s spanking new relationship with China’s largest ride-hailing firm. A $1 billion investment in Didi, announced last week, could be the harbinger of a long-term relationship that some analysts speculate could lead to the U.S. company partnering with the ride-hailing company not only in providing software and services, but also down the line in jointly developing self-driving cars. Apple, however, faces a number of challenges in China. It has seen its revenue from the country, its second largest market, dip by 11 percent in the last quarter as smartphone uptake slowed down in China. The company faces regulatory challenges as well. The State Administration of Press, Publication, Radio, Film and Television is said to have ordered the company to shut down its iBooks Store and iTunes Movies only six months after the services were launched in the country, amid growing concern about increased regulation and censorship of online services. The investment in Didi is likely to have gone down well with the Chinese government, which has attempted with considerable success to attract U.S. technology companies to invest in local companies. Some tech companies like Hewlett Packard Enterprise, AMD, and Intel have partnered with local companies as a way to get easier access to the local market. In February, Apple launched its Apple Pay service in tandem with bank card network China UnionPay, in a market where there are powerful players like Alipay. 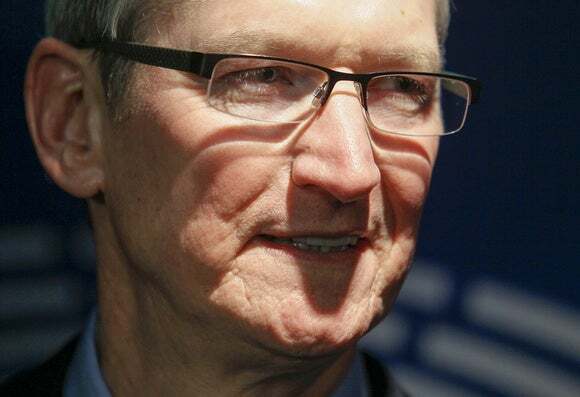 It’s unclear if Cook has any meetings planned with regulators, said Bryan Ma, vice president for devices research at IDC. “I suspect that there are many reasons for his visit, particularly to build up his local relationships in China, including consumers and developers (not just regulators),” Ma added in an email. 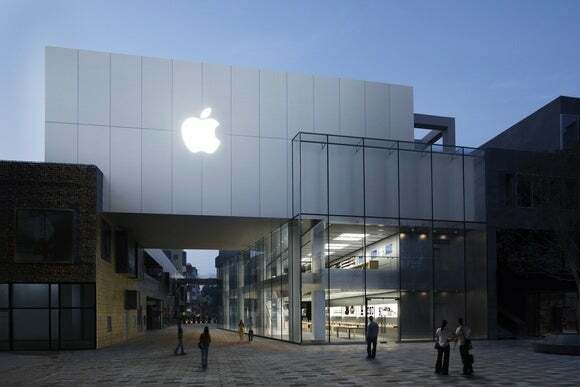 An Apple Store in Beijing. At an Apple store in Beijing, Cook attended a seminar Monday, hosted by Lui, with some of China’s top app developers, according to CNBC. Apple did not immediately comment on the purpose of Cook’s China visit or whether he would be trying to sort out the iBooks Store and iTunes Movies issue during his visit. 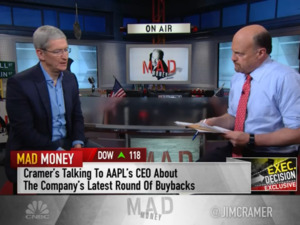 Cook is also probably sending a message to shareholders about the potential that he sees in China, show his commitment and confidence, despite all the questions that have been raised about a slowdown in the country, Ma said. “Indeed, one could argue that the investment in Didi Chuxing is also a statement to that end, and of course him being there this week lets him spend time with that team too,” he added. Local vendors, such as Huawei, Vivo, and Oppo, are cutting into the premium segment that once Samsung and Apple considered their own, reported Canalys in April. Smartphone shipments in China grew by only 2 percent year-on-year to over 105 million units in the first quarter with Huawei, Vivo, Xiaomi, Oppo and Apple making up the top five. Apple’s iPhone shipments fell a whopping 15 percent year-on-year, while market leader Huawei had a 48 percent year-on-year increase in smartphones shipped in the country. During his visit to China, besides building bridges to companies like Didi and mending fences with the government, Cook is likely to explore new opportunities for the company as well as size up the growing competition from local players like Huawei. Signing up developers may help him build the app and services ecosystem that could help Apple compete better in the market.